We all know a family member, friend, co-worker, or neighbor, who is a caregiver of an aging, ill or disabled parent, spouse, sibling or child. Unless you’ve done this work of caregiving, there’s no real understanding of the limitations, the complexity of difficulty, or the toll it takes on the physical, emotional, spiritual and financial well-being of the caregiver. And although it’s extremely rewarding, it’s a very tough, never-ending job. 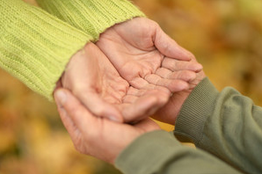 It’s not uncommon for caregivers to give and give and give with little in return. Oftentimes the person being cared for is unable to reciprocate appreciation or affection, especially over time. As a result, many caregivers feel isolated, and for a number of reasons, are unable to ask for help. An elderly woman caring for a sick husband may fear losing her independence, the mother of a disabled child may worry about how she is viewed as a mother, a man caring for his demented mother may feel he’s not living up to his role as a son. There is an entire range of unspoken emotions and thoughts to deal with, none of them easy. 1. Pick up the phone and call. Caregivers need human connection. More importantly, make the call about THEM. Ask how they are doing. Bring them some good news. Make them laugh. Do it often. 2. Give ample notice when extending an invitation. Attending something as simple as a lunch date or holiday party often requires advance arrangements to have someone ‘stand in’ to provide care. 3. Learn about dementia, Aspergers, autism, cystic fibrosis, Parkinson’s, etc. Don’t be afraid to ask/talk about these conditions in an appropriate setting. Pretending nothing is wrong is isolating. 4. Be aware that caregiving is very different from (and often more challenging than) raising children. With childrearing there is an end goal in sight. Your children are growing UP and, at some point, moving on to their own lives. Even as our children lose their innocence, there is a lasting sense of pride and joy that comes from raising a child into adulthood. With caregiving, temporary illness care aside, the opposite is usually true. There is a deep sense of loss (of that person, of one’s personal life, of one’s freedom from the situation, etc) that accompanies caring for someone who will never be independent or who is slowly moving toward the end of their life. 5. Be sensitive. Some caregivers are on limited or fixed incomes, sometimes having had to give up their job/career to care for someone else or living on part time employment wages. Something to consider when asking them to go out or travel. 6. Visit. Traveling with a sick or disabled person is disruptive, often requiring both the caregiver and the one being cared for to go without resources they rely upon for activities of daily living. Traveling without one’s charge means finding someone trustworthy or paying HIGH fees for their care in your absence. So if there’s a family gathering or special occasion in the works, consider bringing it to the caregiver’s home! Since those being cared for usually respond best to routine schedules, be sure to include the caregiver in all the plans … and be prepared to lend a hand when you arrive. 7. Help them locate community resources - home care aides, physical or occupational therapists, chaplains, social workers, hospice. See if they are interested in attending a caregiver’s support group. If so, locate one (or several) and perhaps offer to go with them. This can be especially helpful for long time caregivers who’ve never sought help but are exhibiting signs of caregiver stress. 8. Ask how you can help. The caregiver knows what they need but may need a little coaxing. Be prepared for anything from ‘would you sit with him/her while I take a bath?’ to ‘can you recommend a ____?’. 9. Know the signs of caregiver stress (denial, frustration, anger, guilt, social withdrawal, depression, lack of concentration, loneliness, exhaustion, unchecked health problems) and how it affects health. Encourage and do what you can to make it possible for them to take better care of themselves, to get out of the house, and to enjoy life. 10. Reassure them know you are there for them. And really, really be there when they need you. Older PostDirect care: an affordable health care option?